EVENT-Kerry Farmer - Gold Coast Family History Society Inc.
​This Event is open to both GCFHS members and the general public, bookings are essential as numbers will be limited. Registration is now open. Australian "Immigration" & UK "Parish Records"
Investigating the journey your ancestors undertook is a key part of your family history research. However immigration records in Australia are not all held in one place - when, where and how they arrived affect where (and whether) records of their arrival can be found. Understanding categories of arrivals and the immigration schemes in place as well as the general principles of where documents are held, will give you confidence that you have looked in all the right places. How do I find the records in England prior to civil registration 1837? ​Learn what else the parish registers hold. Central registration of births, deaths and marriages started on July 1st 1837. Prior to that, these life events were recorded in the parish church records. Where do we find these records? How do we access them? What happens if they have been lost or destroyed? Lots of clues to take your research back beyond 1837 in the UK. Kerry Farmer, has been teaching family history classes since 1997. 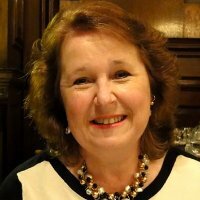 With degrees in both science and the arts, she is a member of the Education Committee of the Society of Australian Genealogists, and a regular speaker at conferences and other events. ​Kerry is also the Director of Australian Studies for the National Institute for Genealogical Studies, developing their course series ‘Certificate in Genealogical Studies – Australian Records’. Kerry authored DNA for Genealogists (4th edn, 2017), Arrivals in Australia from 1788 (2015) and together with Rosemary Kopittke wrote Which Genealogy Program? (3rd edn, 2012) – all published by Unlock the Past. 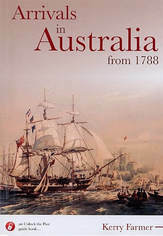 This book introduces the history and records of migration to Australia from 1788. Gold Coast Family History Society is organising a series of talks by well renowned experts to help you with your research in 2018. All are open to both GCFHS members and the general public for a small fee, bookings will be essential as numbers will be limited. Visit our Up Coming Events page to see a list of future events .